You’ve just been in an accident in your BMW and now what do you do? Insurance claims, rental cars, body shops, deductibles and on top of all of that—stress. We know how difficult and frustrating it can be to navigate through this process. At Pacific BMW, our expert staff is well versed in handling all of these facets of the claim process to get you back on the road and let you get back to what matters most in your life. Only a very small percentage of the 40,000+ collision repair facilities in America are properly equipped and trained to work on BMWs. 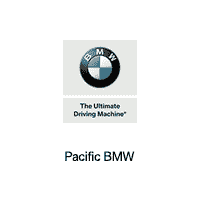 You can take confidence in knowing that Pacific BMW’s technicians are required to be factory trained and regularly participate in over 200+ hours of factory training every year. We follow BMW factory procedures and possess the special tools and equipment to provide you with a certified repair that carries a limited lifetime warranty. Our facility is also regularly audited by BMW of North America to ensure that their rigorous standards for collision repair are being upheld. BMWs are built to tight tolerances that require specialized equipment to perform the repair to factory standards. For example, our frame measurement tools can detect structural damage down to seven-tenths of a millimeter. At many shops, this damage can go undiagnosed, which could result in you driving an unsafe vehicle that may not react the way it was designed in the event of another collision. Throughout the repair process, we provide live updates regarding the status of your vehicle. If your vehicle requires additional service, we can coordinate that as well to make this a one-stop experience that saves you time and money! Do you own other vehicles that aren’t BMWs? Not a problem–we are equipped to work on other high-line cars as well, so don’t hesitate to contact us. Need an estimate fast and can’t make it out to the dealership? Contact us at (866) 537-6613 and we can have you send us photos if you are unable to come to the facility, and we can provide you with a preliminary estimate via email. Whether its major collision damage or a small dent that you need removed, we are here to help! Schedule an appointment online, or contact our facility directly if you have any questions. We work with customers from Los Angeles and the surrounding communities of North Hollywood, Beverly Hills, and Alhambra.